As for the running, we saw a huge crowd of 58 tackle precipitous Chalybes Hill which always seems like a good idea at the starting line. As usual, it was not. 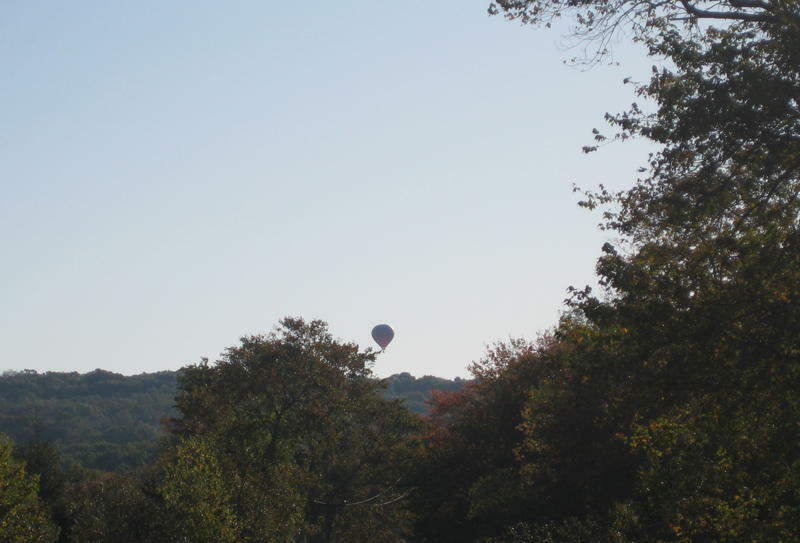 Some of us were stopped in our tracks at the sight of hot air balloons over the town square. Spectacular, but it did not make us faster. All the same, we persevered and went up and over with Pat Dennen capturing laurels at the front of the pack. Who is this guy? Enquiring minds want to know. Marge DeMarrais won on the women's side with a personal best on Chalybes of 14:50. Congratulations Marge! She will be visiting the Mecca of American running later this week. Several people recorded some conflicting results. We can only assume that they took their actual places and times and applied perhaps an integral or derivative and came up with what is certainly the right answer, just not necessarily to the question of place and time. Or maybe they were working in base nine instead of base ten. Surely someone brought a scientific calculator today. (Yes, and stop calling me "Shirley".) Welcome back to Mo who looks fantastic after a summer at the lake and to Dawn after her summer in our nation's capital/political snakepit. 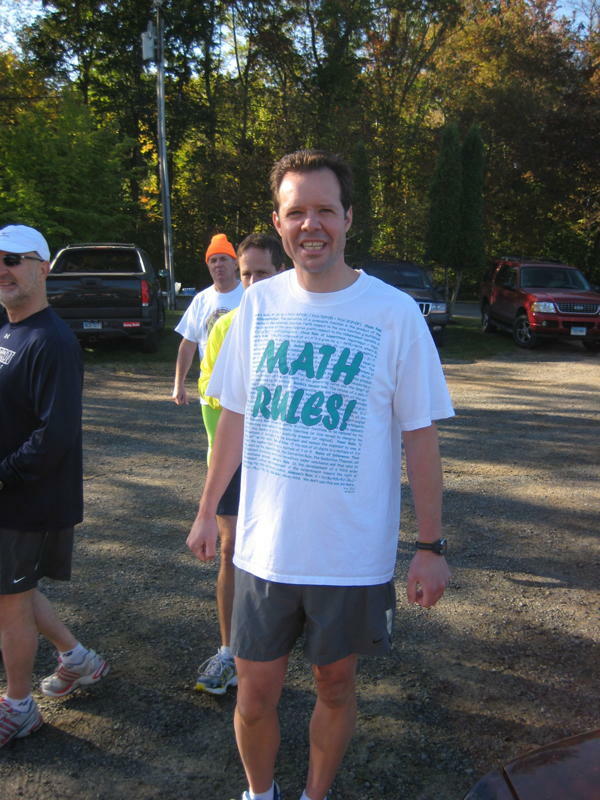 And it was good to see Eric Myhill finally running a Roxbury race, instead of just running in Roxbury. He accepted a Hall of Fame award for his dad. Madelyn ran with Dad this week and they sported matching shirts. Madelyn, however, had sparkly shoes. Dad, not so much. Prasama finished with the most impressive cheering section. This week's Chris Norris fact: Chris Norris destroyed the periodic table, because he only recognizes the element of surprise. Remember that when he passes you at the next race. 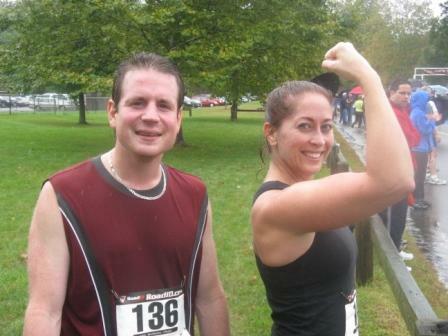 Good luck to everyone running the Southbury Classic, let us know how you do. Otherwise, we'll see everyone next week for an exciting 3.55 miles up Hemlock.